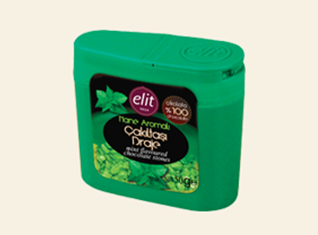 Combining cool mint and intense chocolate together, Elit Chocolate offers a new kind of dragee to your taste! Here comes Elit Mint Flavoured Chocolate Stones! With its handy packages, you can carry Mint Flavoured Chocolate Stones anywhere you go and refresh your breath enjoying the quality chocolate.